On the night of 7 January 2012, a stationmaster at a provincial railway station in central India discovered the body of a young woman lying beside the tracks. The corpse, clothed in a red kurta and a violet and grey Puma jacket, was taken to a local morgue, where a postmortem report classified the death as a homicide. Three weeks later, a retired schoolteacher, Mehtab Singh Damor, identified the body as his 19-year-old daughter Namrata Damor – who had been studying medicine at the Mahatma Gandhi Medical College in Indore before she suddenly vanished one morning in early January 2012. Damor demanded an investigation to find his daughter’s killer, but the police dismissed the findings of the initial postmortem, and labelled her death a suicide. The case was closed – until this July, more than three years later, when a 38-year-old television reporter named Akshay Singh travelled from Delhi to the small Madhya Pradesh town of Meghnagar to interview Namrata’s father. Singh thought that Namrata’s mysterious death might be connected to an extraordinary public scandal, known as the Vyapam scam, which had roiled the highest echelons of the government of Madhya Pradesh. For at least five years, thousands of young men and women had paid bribes worth millions of pounds in total to a network of fixers and political operatives to rig the official examinations run by the Madhya Pradesh Vyavsayik Pariksha Mandal – known as Vyapam – a state body that conducted standardised tests for thousands of highly coveted government jobs and admissions to state-run medical colleges. When the scandal first came to light in 2013, it threatened to paralyse the entire machinery of the state administration: thousands of jobs appeared to have been obtained by fraudulent means, medical schools were tainted by the spectre of corrupt admissions, and dozens of officials were implicated in helping friends and relatives to cheat the exams. 'Those who follow the workings of the establishment believe that Indian diplomacy has managed more by the individual flair and brilliance of a few individuals than its systemic strength or organisational excellence,' says Ambassador B S Prakash. 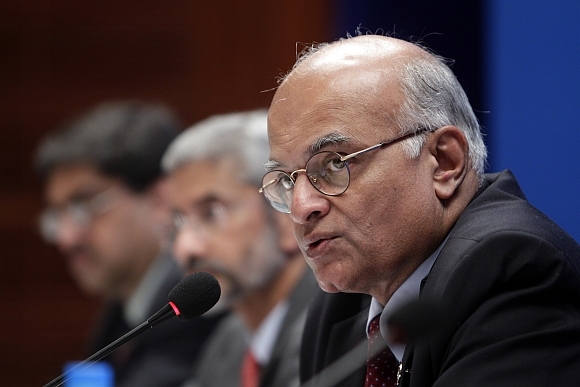 IMAGE: Three of India's finest diplomats: Shivshankar Menon, former foreign secretary, right, with Foreign Secretary Dr S Jaishankar, centre, and Gautam Bambawale, high commissioner-designate to Pakistan, left. All the three are important for diplomats -- people, events and ideas -- and the interplay among them as developments unfold. But, an organised mind discusses patterns and systems. This is the thought that struck me as I read recently Diplomacy At The Cutting Edge by Ambassador Kishan S Rana, a senior colleague of mine who has carved out a special niche among the large numbers of retired diplomats who are now seen in print. The book was released by another very distinguished Indian diplomat, Ambassador Hamid Ansari, the Vice-President. Looking at the audience around me, I felt proud to belong to that fraternity. Is Diplomacy an art or a craft? Can a diplomat fly solo, reacting to or influencing events based on his skills or aptitudes, or is he a cog in the wheel, a part of a system, performing his role in strict accordance with instructions. Can an Ambassador invent, or innovate or only disseminate? Not all long-serving diplomats necessarily reflect on such issues. But a few do, consistently, over long periods of time, and become known as experts on the diplomatic profession, an arcane area, different from foreign policy or international affairs. Kishan S Rana is acknowledged as a master of this genre and has nearly a dozen books, most of them with the word 'diplomacy or embassy' in the title! If you really want to know how professional the Indian Foreign Service is compared to that of China, or Russia, or France, he is the expert to turn to. Could this be of interest to the public? In the last few years, there has been some talk about the IFS, its capabilities and limitations in the context of our growing influence in the world. Prime Minister Modi's hyper kinetic, multi-directional travels and his demands from the system to deliver enhances interest in this topic at least among the cognoscenti. The Defense Acquisition Council has approved the purchase of five units of the advanced missile defense system. 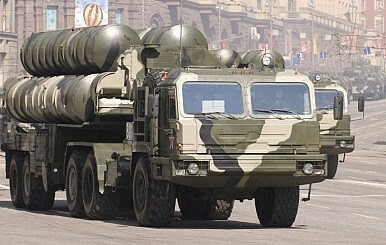 The Indian government has cleared the procurement of five regimental units of Russian-made S-400 Triumf advanced Air Defense Systems (NATO reporting name: SA-21 Growler) at an estimated price of $ 4.5 billion, Defense News reports. The Defense Acquisition Council (DCA), a government body charged with approving Indian defense purchases and chaired by the defense minister, Manohar Parrikar, approved the order on December 17. According to a Ministry of Defense (MOD) official, an advance team left for Moscow on December 17 to negotiate details of the largest-ever defense deal between India and Russia. The DCA approval is an “acceptance of necessity” for the team to formally negotiate the government-to-government deal. One of the reason for Russia’s hesitancy is that a collaboration contract for joint work and delivery of 154 Perspective Multirole Fighters (PMF), the derivative Indian version of the PAK FA T-50 fifth generation fighter jet, has still not yet been signed between the two countries (See: “Will India Purchase 154 Fighter Jets From Russia?”). If the S-400 deal goes through, India would become the second buyer of the advanced missile defense system after China, which will purchase four to six units, with the first S-400 system set to be delivered within the next 12 to 18 months. Afghan security forces and the Taliban appear to have traded grasp of two distant districts. Afghan security forces claim they have ejected the Taliban from the Khanashin district center in southern Helmand province, while the Taliban claim its seized control of Marawara in the northeastern province of Kunar. “The district of Khanashin is cleared of enemies,” said Ayoub Salangi, Afghanistan’s deputy interior minister, according to Reuters. “Afghan forces inflicted heavy casualties” on the Taliban, he claimed, without providing an estimate. An Afghan Army official claimed that 42 Taliban fighters were killed in the fighting. The Taliban hasn’t commented on the fighting in Khanashin, but the group rarely notes when it loses control of an area it has previously captured. The Taliban has continued to press its offensive in Helmand to regain ground lost between 2009-2011 during the US “surge.” Of Helmand’s 13 districts, 4 are known to be controlled by the Taliban (Nowzad, Musa Qala, Baghran, and Dishu), and another five are heavily contested (Nahr-i-Sarraj, Sangin, Kajaki, Nad Ali, and Khanashin). Of the remaining four districts, The Long War Journal believes three (Garmsir, Washir, and Nawa-i-Barak) are contested, but data is not available to support this. While the Taliban lost Khanashin, it claimed it took control of the Marawara, a district in the northeastern province of Kunar which borders Pakistan. Marawara has changed hands multiple times over the past several years. The Taliban made the claim in a statement on Voice of Jihad which accompanies a video that “contains footage of Mujahideen liberating Marawara district and all surrounding check posts, large amount of spoils of war and details about the operations.” A screen shot from the video can be seen above. 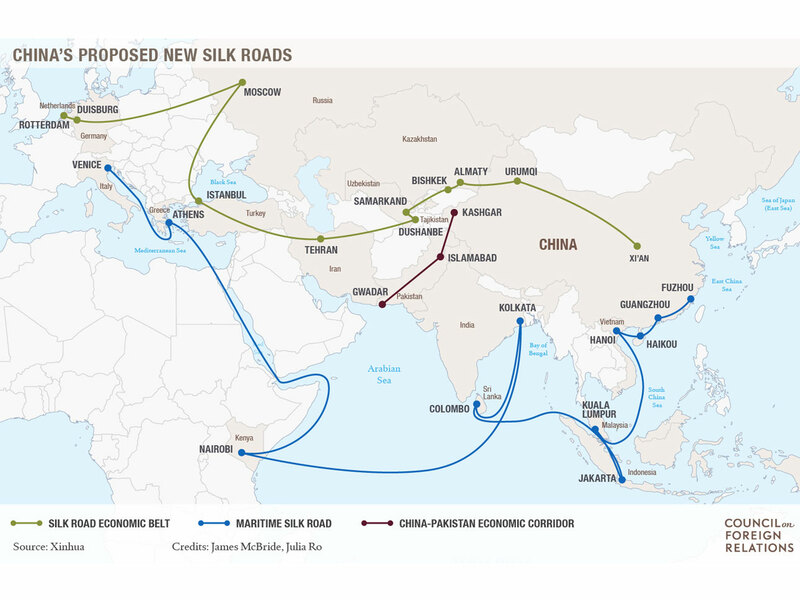 CPEC has been heralded as a game-changer for regional and global geopolitics, for reasons that go beyond the unprecedented scale of China’s largest overseas investment project to date. The project consists of extensive investment in Pakistan’s transport, telecommunications and energy infrastructure, with an estimated value of over $46 billion USD. It will eventually extend about 3,000 km, linking the southwestern Pakistani port of Gwadar to the city of Kashgar, in China’s northwestern Xinjiang province. Terrorists and bad actors want the bomb. Here's how to keep them from it. What keeps you up at night? For most of us, it’s thoughts of the future. We do our best to make responsible investments of our time, money and energy, and we hold ourselves to high personal standards. However, the restless nights return, and we find ourselves searching for new and different strategies that ensure a secure future for ourselves and our families. It’s rare that rhetoric from Donald Trump—currently the leading contender for the Republican nomination for president—legitimately touches on a variant of the sleepless nights question, but he did so during the recent GOP debate in Las Vegas. With recent news of thwarted Moldovan nuclear smugglers, Trump and Clinton’s comments are pragmatic and an important acknowledgement of our continued nuclear insecurity. Six years ago, a newly-elected President Barack Obama delivered a rousing address to a crowd in Prague. His message was clear: the existence of nuclear weapons and the vulnerability of the material used to create them pose an existential challenge to current and future generations. He announced a “new international effort to secure all vulnerable nuclear material. . . within four years,” which was endorsed by more than fifty world leaders at the first Nuclear Security Summit in April 2010. On December 16, The New York Times reported that a “U.S Admiral Assails China’s ‘Unilateral’ Actions at Sea.” (The headline has been changed for the online version of the article.) While the admiral did not mention China by name, there was no doubt about which nation he was charging with interfering in the freedom of navigation in the region by diverting ships that were traveling too close to the artificial islands recently built by China. The admiral also stated that China was subjecting commercial and military operations in the area to various warnings, and that fishermen – who been fishing in the region for generations – have been intimidated. The tone of the speech, the Times reports, was “tougher” than previous ones. When the admiral was asked for specific examples of such actions by China, his staff did not provide any, and stated that these needed to be researched. Particularly noteworthy is the fact that neither the White House nor the State Department’s recent comments on China included such allegations or struck a similar tone in referring to China. Indeed, they instead made much of U.S.-China cooperation in achieving an historic agreement on climate change in China. On October 27, the USS Lassen sailed through waters claimed by China in the vicinity of Subi Reef, in order to demonstrate that the United States does not recognize China-imposed limits on the freedom of navigation. China protested that the United States ought to have obtained permission before sailing the USS Lassen through a 12-nautical-mile radius of Subi Reef and that doing so endangered Chinese personnel. A few days later, Defense Secretary Ash Carter was on the USS Theodore Roosevelt as it sailed about 70 miles northwest of Borneo. China considered this move to be highly provocative. 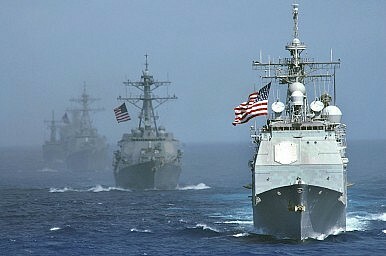 The Pentagon stated that its objective in conducting this and other freedom of navigation operations (FONOPs) was to “protect the rights, freedoms, and lawful uses of the sea and airspace guaranteed to all nations under international law.” It also stated that more such FONOPs would be forthcoming where needed to underline the United States’ and other nations’ right to move freely through international waters. It seems these moves were neither considered nor approved by the White House. Nawaf Obaid, a former advisor to the Saudi ambassadors to the United Kingdom and the United States, immediately added "that is true, us too", indicating Saudi Arabia has also acquired Chinese UAVs because it could not obtain US ones. "[The UAVs are] an example of things we could have done, but we didn't do, and now people who are more agile have been able to send drones to the UAE," Jones said. "We have a serious problem in the way and the speed with which we come to the aid of our friends and allies with equipment." The third member of the panel, Barry Pavel, the director of the Atlantic Council's Scowcroft Center, agreed, saying, "All our Gulf partners want US weapons, they are the best in the world … but it is a really, really difficult process [to obtain them]. If you can't get that wonderful jewel on the shelf, but you can get fake jewellery that still does the job, you are going to start to go in that direction because you are in active operations and you need this equipment." Throughout 2015 Chinese authorities took a number of steps to professionalize their cyber warfare forces. This process began with a series of frank admissions by the Chinese of not only their cyber capabilities, but also their future plans for their cyber forces. For one thing, following a decade of blanket denials, the People’s Liberation Army (PLA) have now explicitly confirmed the existence of both civilian and military network warfare units within the Chinese government. In May this year, China’s Ministry of National Defense expressed its desire to reorganize its forces to win “informationized local wars” in its first published white paper on military strategy. Richard Spencer, Middle East Editor for London’s The Telegraph, writes in the publication’s December 20, 2015 edition that a new study by The Center On Religion and Politics, and backed by the Tony Blair Faith Foundation, is warning that 65,000 fighters in Syria, who do not support the Islamic State — still have jihadist leanings. The Pentagon is considering increasing the pace and scope of cyberattacks against Islamic State, arguing that more aggressive efforts to disable the extremist group's computers, servers and cellphones could help curtail its appeal and disrupt potential terrorist attacks. Military hackers and coders at Cyber Command, based at Fort Meade, Md., have developed an array of malware that could be used to sabotage the militants' propaganda and recruitment capabilities, said U.S. officials, who were not authorized to speak publicly on internal discussions. But closing off the extremists' communications faces resistance from the FBI and intelligence officials. They warn that too sweeping an effort to constrict Internet, social media and cellphone access in Syria and Iraq would shut a critical window into the militants' locations, leadership and intentions. Moreover, a shutdown of communication nodes could affect humanitarian aid organizations, opposition groups, U.S.-backed rebels and others caught up in the Syrian civil war. A virus could spread to computers outside the country. Defense Secretary Ashton Carter will meet with his cybercommanders this week at the Pentagon to examine a menu of digital options, including jamming and viruses, that could be used to target the Sunni Muslim group's communications, according to the officials. The White House directed senior Pentagon officials to prepare options for a stepped-up cyberoffensive after evidence indicated the husband-and-wife shooters who killed 14 people in San Bernardino on Dec. 2 had become self-radicalized on the Internet and had pledged fealty to Islamic State on Facebook, said the officials. Those in the White House "want to see options" for cyberattacks, said one official. "That doesn't mean they are all in play. It just means they want to look at what ways we can pressure" Islamic State. Riyadh, Ankara, and other members of the U.S.-backed coalition have different priorities. Their proxy battles in Syria could go on indefinitely. Saudi Arabia has put on quite a show. On Dec. 9 and 10, the Gulf monarchy held a major conference to assemble the Syrian rebels into a cohesive front—a welcome reprieve from the chaos in Syria and the fragmentation of the opposition. On Dec. 15, Saudi Arabia announced a new “Islamic military alliance” of 34 countries to “coordinate and support military operations to fight terrorism.” These two developments—unifying the Syrian rebels and leading the Muslim world in the fight against terrorism—were certainly meant to reaffirm Saudi Arabia’s role as a reliable U.S. ally in Syria and the Middle East. Unfortunately, both of these initiatives fell apart before they were even underway. Not only did the Saudis exclude the Kurds—the most effective ground force fighting ISIS—from the Syrian opposition conference, they also included radical elements like Ahrar al-Sham, an ally of Syria’s al Qaeda affiliate, Jabhat al Nusra. The conference’s demand that President Bashar al-Assad step down at the start of a transition process—a total nonstarter—and the confusion over Ahrar al-Sham simultaneously signing the declaration and withdrawing from the talks reveal the lack of seriousness this conference embodied. What of the Islamic military alliance? Just a day after its announcement, theLebanese and Pakistani foreign ministers and the Malaysian defense minister denied their countries’ involvement in the Saudi-led coalition. The Lebanese and Pakistani governments denied even being consulted on it. Concerns about the Middle East, and especially Syria, have displaced other threats. In the summer of 2012—around the time that the Islamic State’s inchoate plans for a caliphate merited a mere footnote in a U.S. congressional report on the year-old Syrian conflict—Robert Satloff argued that a civil war was taking shape in Syria, and that its terrible consequences would extend far beyond Syrians; Americans, too, would soon be acquainted with the horror. “None of this is fantasy,” Satloff, the executive director of the Washington Institute for Near East Policy, assured his readers. Today, they need no convincing. In the three years since Satloff issued his warning, the Syrian Civil War has steadily metastasized as a perceived threat to U.S. national security, nurturing ISIS, bludgeoning Iraq, and radiating refugees in the Middle East and Europe. Consider, for example, the results of a new survey of American foreign-policy experts and practitioners by the Council on Foreign Relations’ Center for Preventive Action. Nearly 500 respondents estimated the likelihood and impact on U.S. interests of 30 potential conflicts in 2016. 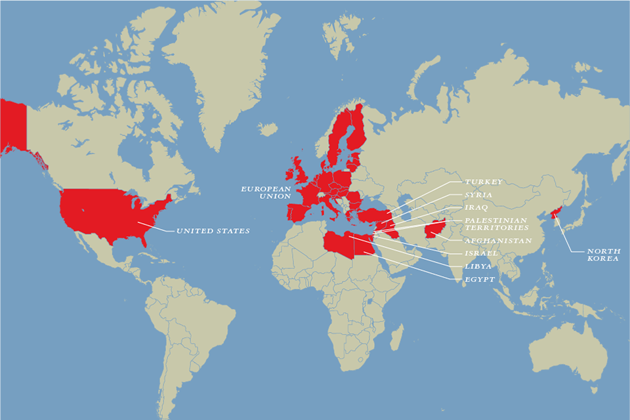 These conflicts were then sorted into three tiers of risk to America. A deepening of the Syrian conflict “resulting from increased external support for warring parties, including military intervention by outside powers” was rated both highly likely and high-impact—the only “contingency” in the study to be ranked so gravely. The findings are perhaps less a forecast of things to come than a reflection of the primary concerns among experts heading into 2016. 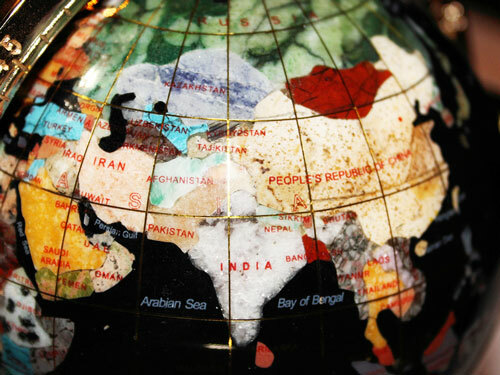 The map doesn’t necessarily depict where fighting, instability, or humanitarian suffering will be most acute; instead, it offers a sense what U.S. policymakers and crisis-managers might see when they look out onto the world, weigh America’s strategic interests, and decide how to allocate their finite time and resources in the coming year. President Obama may believe America’s future lies in Asia, but the Middle East endures as the capital of American preoccupation. As Paul Stares, the report’s lead author, writes, “Of the eleven contingencies classified as Tier 1 priorities, all but three are related to events unfolding” in the Mideast. Several stem from the Syrian Civil War. The 21st Conference of Parties to the United Nations Framework Convention on Climate Change has come and gone and thankfully we have an agreement. After their failure to agree anything in Copenhagen in 2009, diplomats were under pressure this time around to deliver a global climate deal. In that, they have been successful. The constraints of getting 196 different countries with different needs, capabilities and responsibilities to agree to a single document meant that the Paris Agreement would always be a consensus around the minimum. The final outcome, however, managed to combine moderate ambition with diplomatic consensus. In particular, there are three reasons for cheer. One is that countries committed to "...pursue efforts to limit the temperature increase to 1.5°C above pre industrial levels..." Before COP21, only Low Lying Island States particularly vulnerable to climate impacts had been vociferously demanding a 1.5° goal. It is encouraging that the Paris agreement got all countries to agree on target that is more ambitious than the previously acknowledged 2° goal. Secondly, given that current country pledges through their Nationally Determined Contributions (NDCs) only added up to reducing global warming to 2.7°C, it was crucial that a mechanism was put in place to ensure that countries ratcheted up their ambitions over time. That was the only way we would have a chance to avoid dangerous levels of climate change. This has now been agreed upon in Paris with a legally binding requirement that countries review their contributions every 5 years and that each successive contribution should be a progression on the previous one. This is also important so that developing countries which slowly transition into developed nations do not continue to hide behind their exceptionalism and instead take a more active and leading role over time, in constraining emissions and supporting poorer nations in their climate action. Since Monday morning, the country's official domain name servers have been under a Distributed Denial of Service (DDoS) attack. The attack’s perpetrators are unknown, but it reveals the vulnerabilities of the country’s Internet infrastructure. Europe’s regional Internet registry, the RIPE Network Coordination Centre, serves as a secondary Domain Name System to Nic.tr. RIPE was also severely affected. As noted by its manager of the Global Information Infrastructure, Romero Zwart, the attack was “modified to evade” RIPE's mitigation measures. As of this writing, the attack is still going on at around 40 Gbps, disrupting working hours in Turkey. Countering these adversaries poses a significant challenge. With an ever-increasing number of extremist Web sites, U.S. efforts to degrade these online operations have been inadequate, pointing to the need for innovative strategic solutions to counter these threats.2 However, the same protection cyberspace offers them also makes these extremists susceptible to deception. This article argues that false-flag operations could provide the strategic means to mask a deception that could degrade the bonds of trust among extremists operating in cyberspace and their loyal supporters by undermining the legitimacy of their governing ideology. Deception is often employed strategically to manipulate an adversary’s perceptions to gain a competitive advantage while disguising the basic objectives, intentions, strategies, and capabilities of the deceiver.3 In cyberspace, suitable deception targets could include an organization’s ideological infrastructure, legitimacy, and bonds of trust that connect the group with its followers. By targeting these three facets, a deception strategy could directly challenge an extremist group’s online existence. 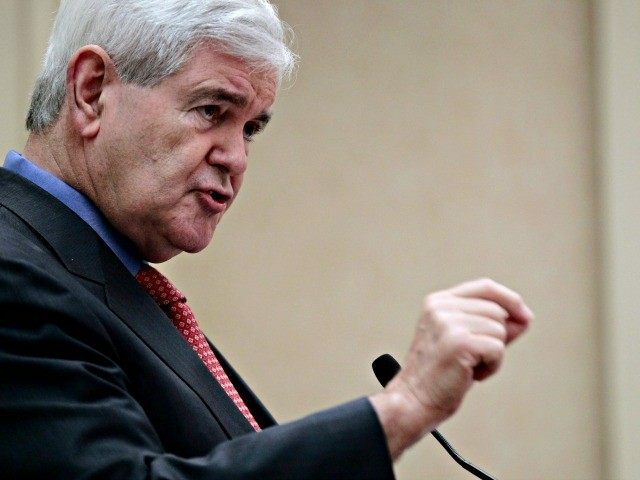 Below is a National Defense University speech given by Newt Gingrich on December 1, 2015, reprinted with permission. This intellectual framework was applied and reapplied through two World Wars and the Cold War. It is the framework within which academic and bureaucratic careers were made and are still being made. It is now a framework which distorts reality, hides from uncomfortable facts, and cripples our ability to develop an effective national security and foreign policy. The gap between the old world in our heads and the new world we now find ourselves in is so large that the very language of the past blocks us from coming to grips with an emerging future that will be radically different. 1. We are in a Long War which could easily last 100 years or more, which will transcend all national boundaries and which ignores or rejects a century of work trying to routinize and tame warfare. 2. There are technological and doctrinal breakouts on the horizon which will challenge our very survival. ElectroMagnetic Pulse, cyber war, loyalties to religiously inspired movements transcending traditional concepts of patriotism, militarization of space, are examples of breakouts which will reach require new thinking and new organizations and doctrines. 3. The Chinese system of strategic competition in a world of “no war, no peace” ( see Sun Tzu’s the Art of War with its injunction that the greatest of all generals win bloodless victories as an initial starting point for Chinese strategies of blending war and peace into one continuum) as illustrated by the nine dash line and the long project to assume sovereignty over the entire South China Sea is an example of how different that competition will be. The ongoing cyber competition is a good example of the blurring of war and non war boundaries. This pattern is actually historically more normal than the American effort to draw a sharp line between war and peace. The last few weeks have been a grim warning that every major new terrorist attack creates the risk of overreacting to the point of panic, and of turning panic into prejudice. The attacks in Paris have led political leaders into a massive rush to act – in some cases with only limited consideration of what actions were really required and whether the benefits were worth their costs. The same has been true of the attacks in San Bernardino, with the added problem that the American partisan political extremism generated by an ongoing Presidential campaign has produced talk of “war” without any clear picture of what this really means. Worse, some candidates have fed on the kind of prejudice against Muslims that can hand ISIS and other violent Islamist extremists precisely the kind of victory they are seeking. Candidates like Trump have fed the kind of fear that makes every Muslim a terrorist, alienates Muslims and key allies in the fight against terrorism, and encourages levels of fear and anger on both sides that create precisely the environment ISIS can feed upon for justification, money, and volunteers. The best way to fight a shift from counterterrorism to religious bigotry is to carefully assess the real world level and nature of the threat, examine the measures we have already taken to improve counterterrorism in the United States and in our operations overseas, and strengthen the partnerships that already exist with both our traditional allies and Arab and largely Muslim governments that are the center of the fight against violent Islamist extremism. The worst way is to let a combination of panic, prejudice, and partisanship push America into actions that actually serve ISIS and Al Qaeda, increase the risk of terrorist attacks, limit freedom, and waste scarce resources on actions with only marginal benefit. Terrorism has come to look very different from what confronted the West over a decade ago. Most ad hoc commissions come and go without a trace. Not so, the 9/11 Commission. Its final report became a national bestseller. Its findings served as the touchstone for explaining what happened on that dreadful day the terrorists went after New York City and Washington, D.C. Even more important, the report framed the argument of where the nation should go from here. More than ten years have passed since then. Is it time to assemble another commission? This is not about politics. The terrorists don’t care which political party occupies the Oval Office or reigns in the House and Senate. They are just trying to kill us. If there’s one thing both parties should be able to agree on, it’s that we need to work out—in a non-partisan manner—how to stop the terrorists from achieving their goals. To be sure, assessing the state of the nation’s effort to battle transnational terrorism will entail grading the Obama administration’s performance in this area. So what? It is not like anybody is going to lose their pension or good to jail. Those who have served this country ought to be big enough to accept that people are going to evaluate and critique their work. That’s going to happen with or without another commission. It’s better for all if the grade comes from a professional commission with access to all the relevant information and a clear charter from the Congress. In practice, a commission established now won’t deliver a report until after the 2016 elections. That’s well and good. Shuffling the furniture in the Oval Office would serve to lower the political bickering and offer the next president a non-partisan platform from which to work. Some might question the need for a commission, noting that the nation hasn’t suffered a disaster on the scale of 9/11 since, well, 9/11. But the original commission’s charter was to investigate “terrorist attacks upon the United States,” not just the events of 9/11. That made sense. There is something to be said for looking at the totality of the issue. Doesn’t it make sense to take a deep breath and see where the nation stands today, rather than wait for a new mass of body bags to pile up before taking action? As we recently heard from Secretary of Defense Ash Carter, “America’s advantage is tied to its people,” and, “in the face of generational, technological and labor market changes, we in the Pentagon must think outside our five-sided box and try to make ourselves even better at attracting talent from new generations of Americans.” Unfortunately for the Department of Defense (DOD) and the federal government more broadly, top talent is leaving at alarming rates and a mere 2.3 percent of college graduates in 2012 listed the federal government as a place they would like to work. While such difficulties in recruiting are problematic across the federal system, they may be especially devastating for the Department of Defense as it tries to foster the innovation it will need for the unpredictable mission sets of the future. Based on my own personal experience with friends, family, and acquaintances, I’m not surprised at this problem and I think there are some concrete steps the DOD (and the federal government) can take to attract and retain America’s most talented engineers, scientists, researchers, and thought leaders. I’m a Gen X-er (barely, as I was born in 1981) who recently left a U.S. Army research and development lab. But I was not alone — I left along with a fairly steady flow of other hard-chargers who had grown increasingly frustrated and disillusioned with the current personnel system for civilians. Unlike in start-ups or tech companies where engineers like me often work, the federal government personnel system is cumbersome and unresponsive to effort. It is very difficult to fire under-performers, nepotism and favoritism are commonplace, and motivational managers are rare. It is almost always easier to accept mediocrity than to demand improved performance. There are few mechanisms available to managers to reward and retain capable and effective civil servants. In such conditions, with a robust set of alternative options in industry, why would talented, hardworking personnel stick around to watch underperforming personnel receive recognition and pay raises regardless of the work or effort they put in? I think it’s pretty clear — they won’t and don’t. SAN JOSE, Calif. (AP) – Security researcher Brian Wallace was on the trail of hackers who had snatched a California university’s housing files when he stumbled into a larger nightmare: Cyberattackers had opened a pathway into the networks running the United States’ power grid. The public almost never learns the details about these types of attacks - they’re rarer but also more intricate and potentially dangerous than data theft. Information about the government’s response to these hacks is often protected and sometimes classified; many are never even reported to the government.